When it comes to preventing termites from causing extensive damage to your house, a regular termite inspection is the most efficient and cost effective method. A CSIRO study found that every third house in Sydney has been effected by subterranean termites at some stage. Your home is your biggest asset. Unfortunately, your home can also be a major food source for these unwanted visitors. Termites can cause considerable damage to property resulting in stress and financial losses. This damage stems from the fact that termites have a ferocious appetite for timber, paper, furniture and all other products that contain cellulose. 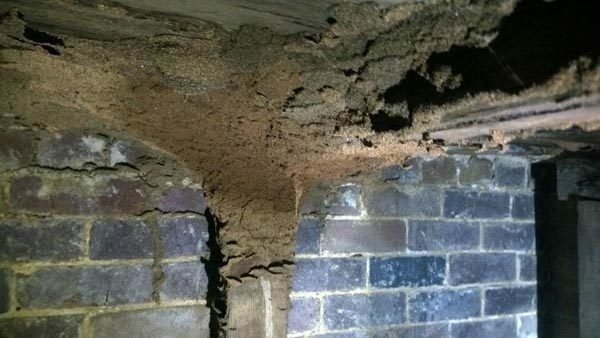 Termite inspections carried out regularly will detect termites early and before extensive damage is done. 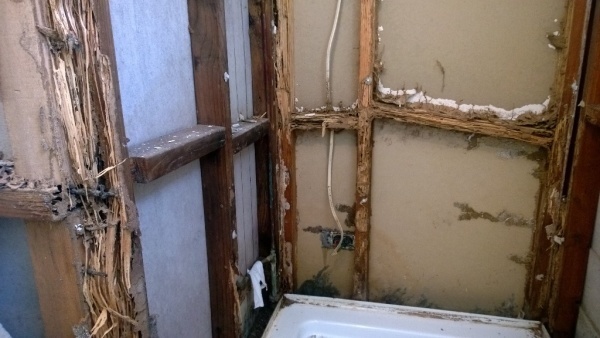 Extensive damage caused by termites to bathroom timber stud wall. Extensive damage caused by termites to roof timbers. Termites building galleries and gaining access into floorboards. Termite damage causing structural roof timber to collapse under its own weight. 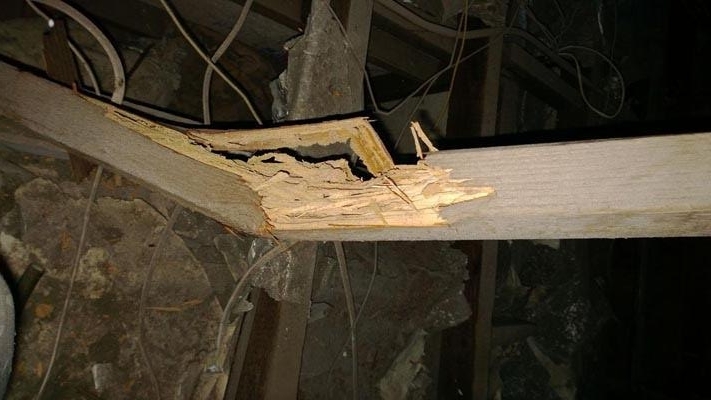 Hot, humid climatic conditions and the large amount of timber the building industry continues to use in constructing Sydney homes, is the right combination for termite attacks. Known also as white ants, termites are notorious as the most destructive insect pest in Australia. It is not easy to be aware of termites, as the infestation is likely to occur in inaccessible timbers of the house. 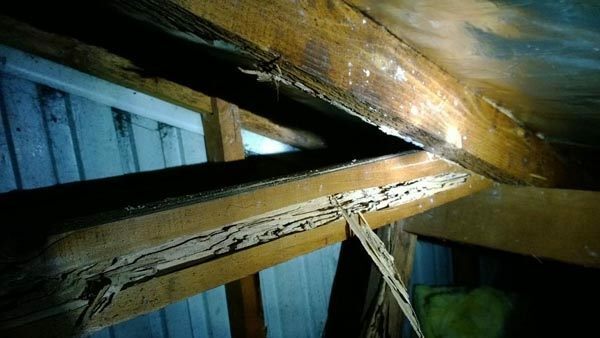 Their damage can go unnoticed as termites destroy the integrity of timber from the inside out. On the surface everything may look normal and then, on application of pressure, the timber crumbles and disintegrates. A coat of paint may be the only thing holding it up. Termites are capable of causing large mount of damage in a very short period of time. Regular termite inspections significantly reduces the chance of termites establishing themselves within your property, therefore extensive damage can be avoided. Images as above, show examples of termite attack and damage in houses throughout various Sydney suburbs. The one thing in common in all of these houses is, that non of them had a termite inspection carried out regularly. How Often Should You Have Termite Inspections? How Long Should a Termite Inspection Take? Termite inspection is the foundation to an effective termite management program. It is also the essential component in understanding the construction style, accessibility, landscaping and climatic conditions within the building. All these elements are critical, not only for termites establishing themselves, but also in deciding on the most appropriate treatment that should be undertaken. Termite inspections should be carried out at least on an annual basis, that is if your property is at low risk to a termite attack. Unfortunately majority of Sydney houses are at moderate to high risk. If your house falls into this category 6 monthly termite inspections are recommended. There are also many other reasons that can influence the frequency at which termite inspection should be carried out. Some of them are: location, previous termite history and age of the building. In many Sydney homes 3 monthly termite inspections are not uncommon. Finding termite colonies is not easy. This is because termites shy away from open and well ventilated spaces. Termites build tunnels and prefer dark, moist and obscure areas where there is little human activity. In fact, termites construct their nests below the ground, in trees and stumps. Sometimes termites will choose to build their nest in the roof or under the floor of your house. It is important that all these areas are thoroughly inspected. 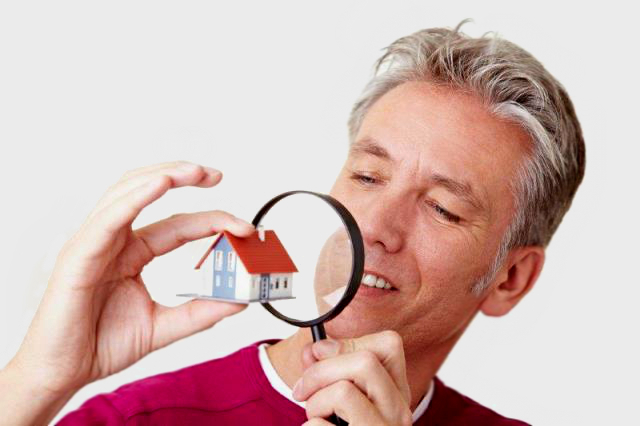 Depending on the size of the property, a termite inspection will take approximately 2 hours. It is also important to note the person carrying out your termite inspections has the knowledge, experience and the right equipment for the job. At Pestworks we are team of qualified professionals who have a wealth of experience in Termite Inspections and Termite Management. In 26 years of experience we have acquired a deep knowledge and understanding in how to effectively protect Sydney homes from the devastating damage termites can cause. Pestworks® is a registered trademark of Pestworks Net Australia Pty Ltd. All rights reserved.